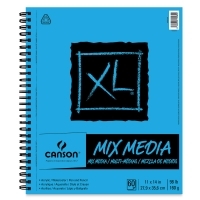 Designed to appeal to students, Canson XL papers are developed in consultation with art professors who use Canson's professional artist papers as a benchmark. 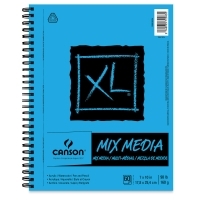 As a result, Canson XL Mix Media Pads incorporate many professional performance characteristics — at a value price! The wire-bound pad contains 60 acid-free, micro-perforated sheets that are true size when removed, except the 18" × 24" which has 30 sheets. 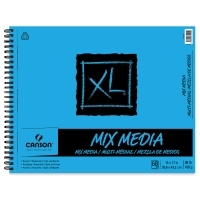 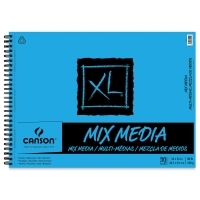 Mix Media Pad, 7" × 10"
Designed to appeal to students, Canson XL papers are developed in consultation with art professors who use Canson's professional artist papers as a benchmark. 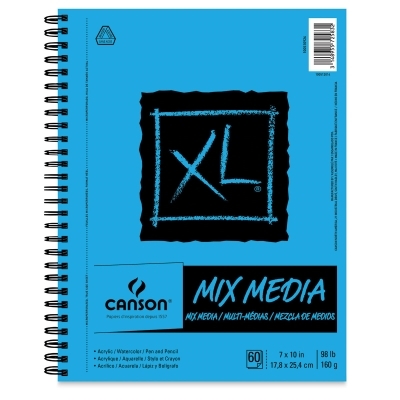 As a result, Canson XL Mix Media Pads incorporate many professional performance characteristics — at a value price! 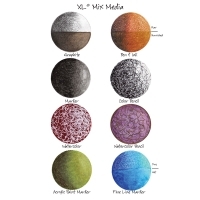 Acid-free.